TGIM! How unnatural and psychotic does that sound?? That is a saying that is never and should never be said. Did you all miss me as much as I missed you?!? I am so sorry about the 3 day hiatus, I definitely needed to recoup. I would say I was completely on the mend, however, I no longer have a voice. At all. An individual that is probably OK with this? Stella. She no longer has to pretend she cannot hear me. Oy. Today I am talking about some major window eye candy. 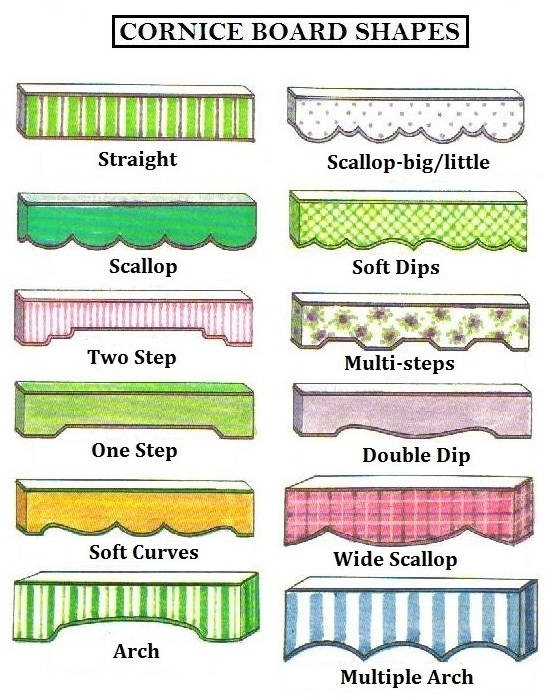 Cornice boards. I have to tell you, after being a product of the 80's and spending most of my golden years of adolescence in the 90's, there are a few things I thought I could never get on board with. 1. Being wall borders. That still remains fact and always will in my book. 2. Being matching valances/cornice boards and window treatments. I just remember the dust all of those fugs used to collect. So I am definitely reneging on my second no no. I am so smitten with the new and improved cornice boards. Adorned in: Nailhead, grosgrain trim, greek key trim, monogrammed, matching curtains, non-matching curtains, pom pom trim, on a bath, on a window. Need I say more? This office is one of my absolute favorites as of lately. The magenta built ins, which are styled perfectly I might add, lined with marbled paper. Let's address the real elephant in the room here though. Those window treatments? Ok. Two Step (we will get to shape examples soon) cornice board with two types of trim AND nailhead. Look at those drapes. Look. We all know I die over the color family of corals and oranges. This little nook area sends my blood pressure into a tailspin. 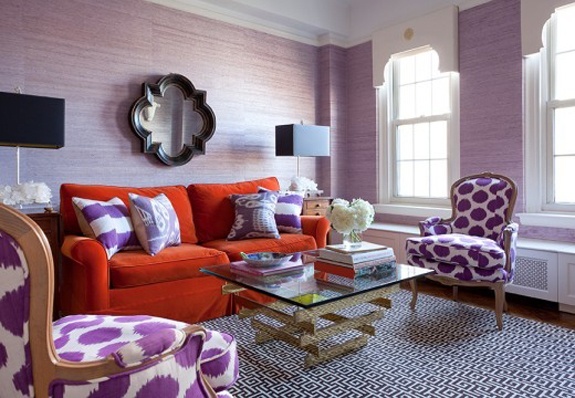 Matching curtains to the straight cornice board is a major win here. Are you seeing those windows? They are too good to cover up. An up close and personal shot. Bone inlaid chest. Get into my house. What a lucky little brat (girl) who gets to live in this space. Rainbow bright straight cornice over non-matching roman shades. It adds the perfect amount of funk to an otherwise adolescent space. Holy. Bejesus. I am going to need a crash cart for this one. That cornice is money in the bank. 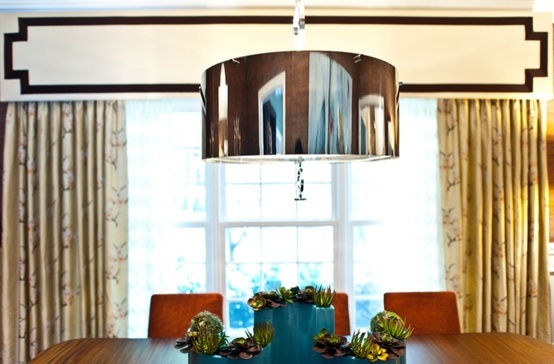 Paired with non-matching curtains, grasscloth walls, a chrome pendant light fixture and serious abstract art. I need this space immediately. An up close and personal shot. This is a space seen around the world (aka blogosphere). The color palette here soothes me (yes) and the accessories absolutely kill it. The cornice boards framing the windows stand completely on their own and do it well. It appears that a monogram adorns the boards. Don't get me started on monograms. Love. A little chinoiserie dining nook. How charming is this little space? Loving the two step cornice board dressed in red trim. It is the perfect addition to such a unique and eclectic space. 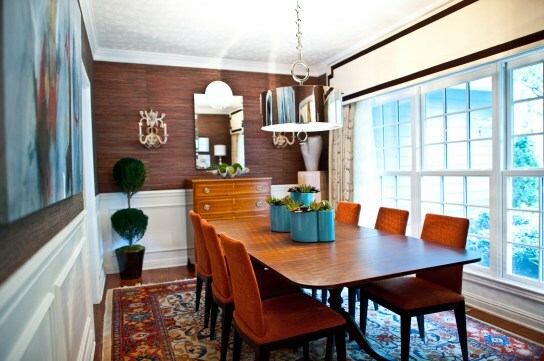 A totally masculine and modern inspired space. 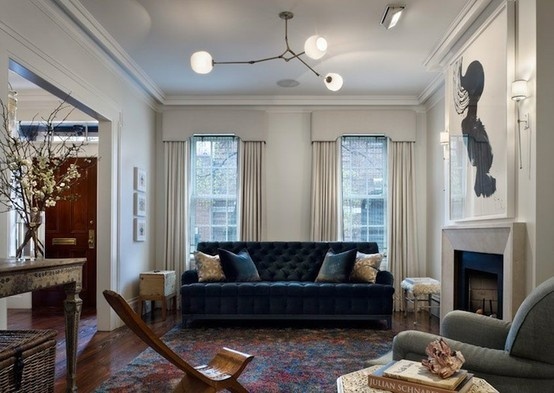 That navy blue velvet tufted couch sets the ground work for major style in this room. 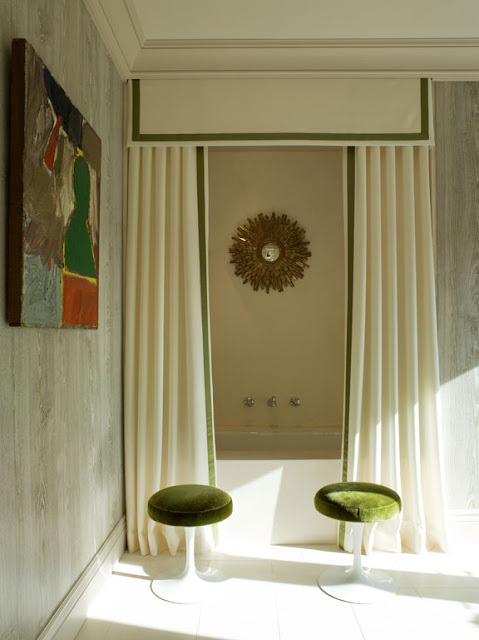 Nothing better than monochromatic one step cornice boards and matching curtains could frame these windows. Nothing. Bright and airy rotunda with amazing greek key adorned cornice boards. This looks like it was a real treat to construct and install. Not. 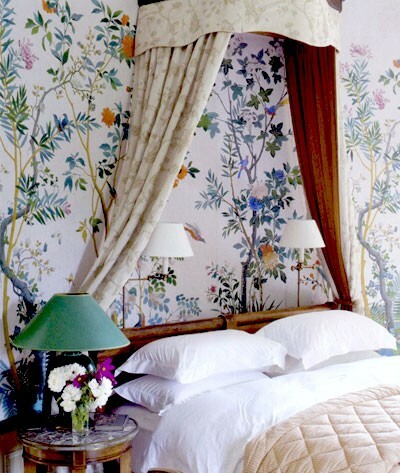 Lovely cornice board over a bed. How regal does this look?!?! I know I couldn't get away with it in our household. But hey, shake what your mama gave ya. Holy. Moly. This bathroom is unreal. Who wouldn't kill for a tub dressed in those treatments? So major. Everyone knows I cannot get enough of Bailey's designs, from Peppermint Bliss. Girl is not afraid of color or major style. She designed this room with the multi step cornice boards dressing the windows and let me tell you, I could not be more obsessed. Damn this girl is good. Bailey at it again. Cornice board with pom pom trim curtains in the bathroom. How freaking to die for is this? She slays me!! Black and white is always so powerful. 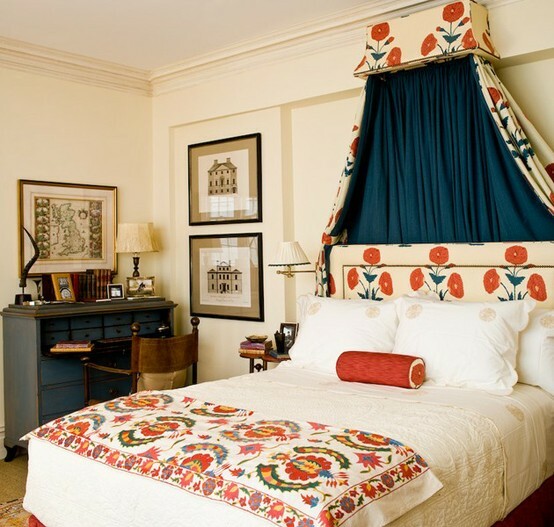 A lovely feminine bedroom with a scalloped cornice and drapes acting as some major eye candy. I would love to see this as a guest room or something of the like. Wouldn't you love to retreat back to this spot on a vacation? A bed and breakfast if you will? Screw it. Or your own home. Do it! I promised a lesson in cornice boards today and here we are. I have decided that I am going to be brave and select a simple DIY out there and construct my own cornice board for one of our rooms. I mean how hard can it be?!?! (My most famous and always last words.) For those of you who are temporarily insane like me, here are the shapes we can deliberate from for our spaces. I am a wimp so I am thinking straight. What about you? Loves! Ok I never thought I would like Cornice boards again but now you have me brainstorming where I could put one in my house! That first office and playroom are TDF. Glad you are feeling better! I've been considering making my own as well. Did you happen to see the post on Little Green Notebook where Jenny made hers out of foam core board? Thought it was such a great option for those of us who are not so handy with a jig saw. Im loving these Cornice boards, especially that curved one, and the tone on tone simple and elegant living room cornices. Beautiful post Lindsay! Have a great week. I love cornice boards! I'm so sad the ones we made for Wells' nursery in Pawleys don't fit the windows here. They're my favorite! Loving the scallop shape! Also, the pom poms, I die! That gorgeous inspiration is making me think I need one (or more)! This post couldn't come at a better time! I'm currently updating my main bathroom and decided (just this morning) that I was going to DIY a cornice! Thanks for the inspiration! I love all the rooms! they are fabulous! For your DIY, did you see that Sita from The Family Room posted instructions on making one of these a few weeks back? Love all of these rooms. Makes me so jealous that my house looks NOTHING like these photos. Love these!!! I just made three cornice boards (two for my guest room and one for my master bath) following the Little Green Notebook tutorial and they were so easy and inexpensive! I will say that the foam core is a still a little hard to cut in a straight line, so I stuck with a pretty simple design. But they look great! I keep going back and forth if I should make one of these for my kitchen or not, too many choices! Its either one of these or a fixed roman shade- what do you think? HELP! This is my first time i visit here. I found so many interesting stuff in your blog especially its decoration. From the tons of comments on your decoration, I guess I am not the only one having all the enjoyment here! keep up the good work. DIYing a cornice board has always been on my to-do list! 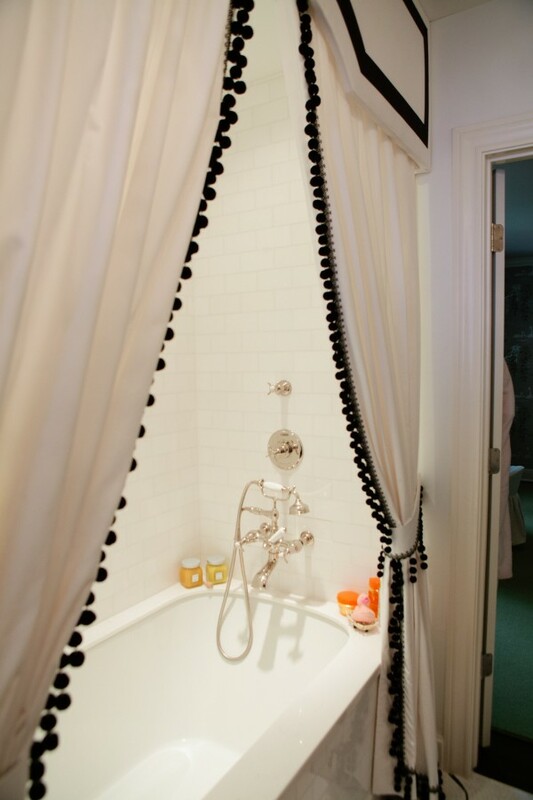 I especially love the ones for a shower curtain - it makes the room seem 1000x more chic! Great post! Why don't we miss you. You are such a great interior designer. We always satisfy with your trends for decorating, designing. It’s being a pleasure to hear from you. 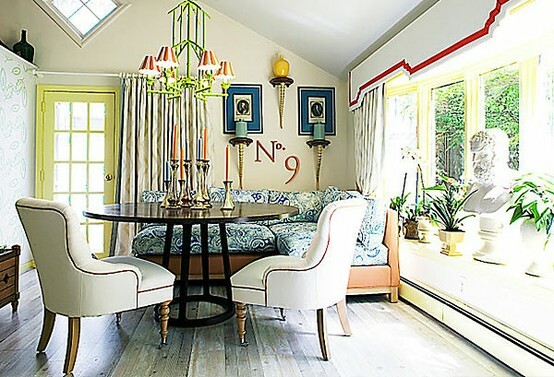 Love all of these rooms! Really great post.. Thanks for sharing..